How to transfer a client to another coach in or outside your organization. 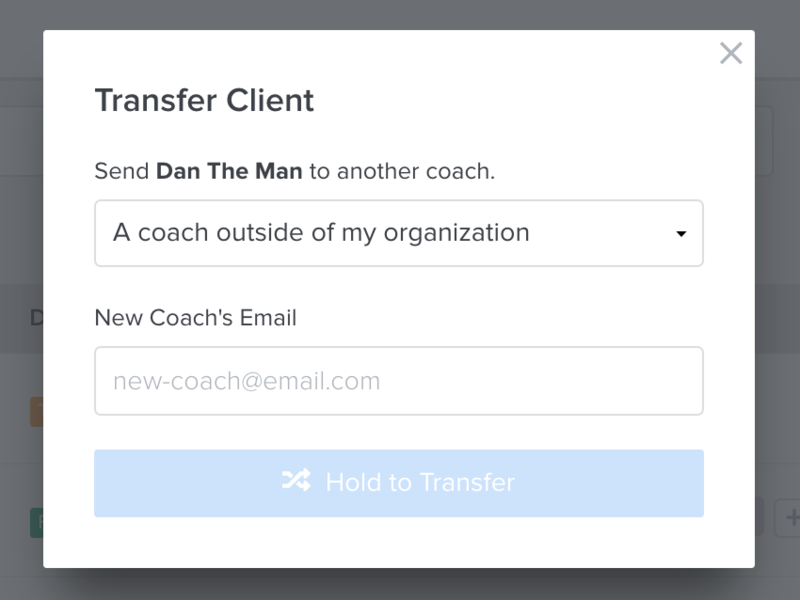 Transferring a client to another TrueCoach account has never been easier! Because we believe that each coach is responsible for the data that is logged for their clients, it will be up to them to facilitate the transfer of that client's profile. When a client is transferred, all of their historical data (metrics, workouts, progress pictures, etc) is transferred along with them to their new coach. You can transfer active or archived clients. 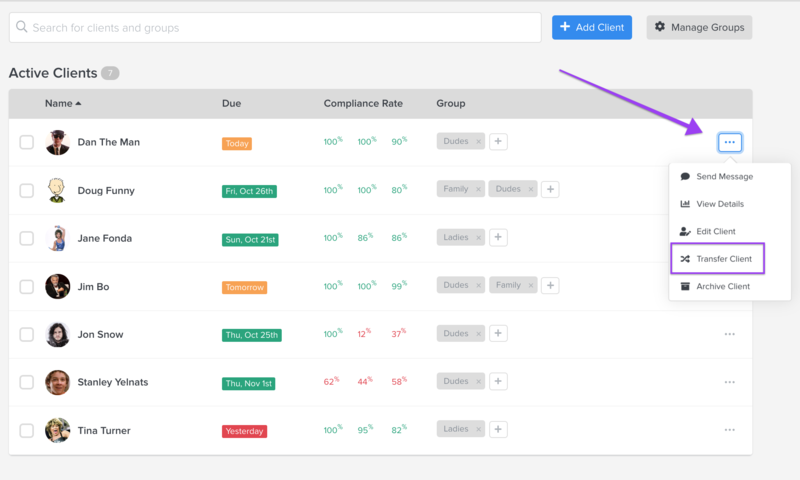 If the client's old coach is no longer using TrueCoach, send a message to [email protected] with the client's email address and we'll see how we can help. Transferring a client out of your organization can't be undone, but they can be transferred back by the new coach. If the coach you are transferring them to is at their client limit, you will not be able to successfully complete the transfer. Find the client you wish to transfer (they can be active or archived). Click the ⋯ icon next to their name and select transfer client. Enter the email address of the new coach exactly as it is on their TrueCoach account, hold down the transfer button, and voila! You can also select a coach from your Team account.